Why Apple Spends $1.8 Billion On Advertising | SeedX Inc.
Apple hit many headlines in 2015 when they dramatically increased its global advertising budget by 50% to a record $1.8 billion. Their explanation? The company representatives said they believe “ongoing investment in marketing and advertising is critical to the development and sale of innovative products and technologies”. That year, they reported record profits of $53.4 billion on turnover of $233.7 billion, thanks to the release of iPhone 6 and iPhone 6S. Why are they spending so much money on advertising and is it paying off? Advertising is a scary thing. You have this fear that you will just throw money away. However, as Apple knows, this is not true. Here are some key traits of Apples marketing message. One thing Apple is famous for is not getting caught up in price wars – they know their value and they are not afraid to price it. The same applies to their advertising strategy. They want to deliver the best and ads possible or to engage with the most relevant influencers. Don’t be afraid to charge what you are worth and to invest in high-quality advertising. The world needs to know who you are! It’s every marketers’ dream for their brand to have a following like the Cult of the Mac. Apple worked meticulously (and spent billions of dollars) to get that fan club and the brand loyalty. Even though Apple was just a small company in 1984, they invested in a commercial during the Super Bowl in which they introduced the Macintosh personal computer. For something pricey and relatively unfamiliar to the market, it was a bold move. Fortunately, it paid off and Apple sold 720 000 computers in 100 days. Getting a huge and loyal fan base means that you have to reach as many people as possible. 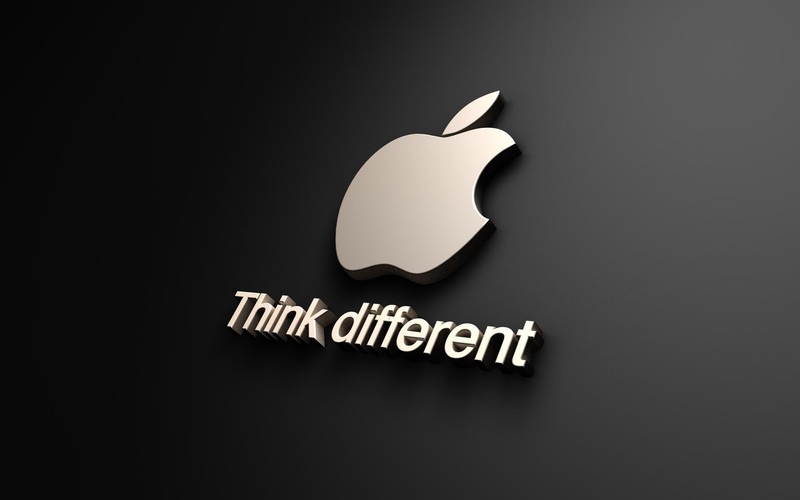 You need to utilize your online and offline channels distribution channels to grow like Apple. Apple’s advertising copy focuses not so much on features, but on why those features matter to the customer. For example, their iPhone X commercial didn’t have a voice-over, and their ads have plain white backgrounds. Look at your advertising strategy and ask yourself: Am I getting my point across simply and concisely? Am I taking any extra steps that I don’t actually need? Is there anything that I can cut out so we can focus on what matters at the core? Steve Jobs was famous for making things incredibly simple. He knew that simple is always harder than complex. Apple is one of the first companies that pledged to sell experiences rather than just products. That means not focusing so much on the tangible product, but more on the feelings it evokes in the customer. Apple maintains an air of secrecy around everything they do, creating movie-like TV ads, hosting Keynotes, and world-famous product launches. They add experience to everything. This is something that takes time and marketing. The spend the money to market the experience to you. You are more than just a customer. You are a brand advocate. Apple does not create ugly or low-quality ads, and neither should you. When you’re looking at their ads and commercials, you will not find yourself thinking “this is too much” or “this transition is not smooth”. Even when they are creating something simple, they put all their efforts to create high-quality and impeccable visuals. Whatever you are creating, make it simple. You can start winning people’s hearts by winning over their emotion. Remember Apple’s 2013 Christmas ad of the kid playing on his phone during the holidays, only to realize that he was creating a family video the entire time? Winning over your customers means that you want them to feel something. What that something is, depends on your brand, what you stand for, and what experiences you want your customers to have. It could be excitement or joy, or maybe an outrage accompanied by an urge to make a difference in the world. Whatever ads you are creating, incorporate emotions. When people feel something when watching your ad, they are more likely to remember it. This creates a long lasting to create a strong relationship with your brand. With so many companies and campaigns on the market, it’s hard to be different. And that is one more reason why Apple spends money on their advertising. Apple’s ability to think different made them successful. It’s what changed the mobile phone industry in 2005, and what keeps changing the industry 13 years later. In order to think differently, forget all the assumptions, your past, knowledge, and your limits. Think as there is no stupid idea or an idea that is not achievable. We hope that Apple’s innovative approach to advertising will inspire you and help you update your advertising strategy!